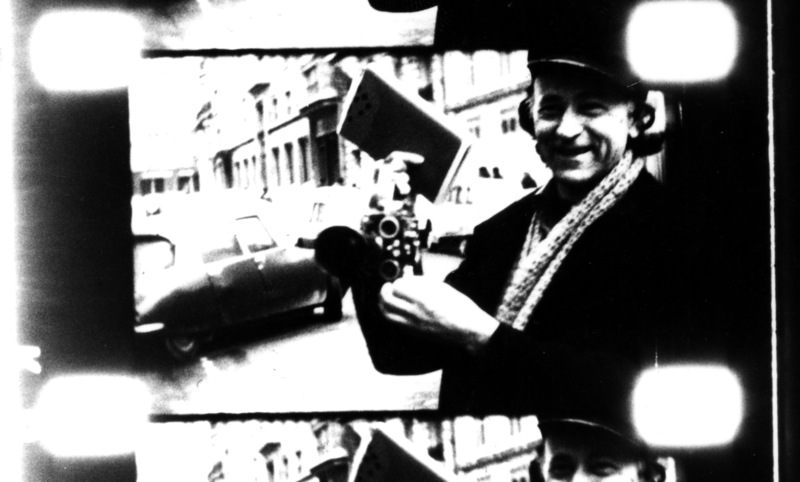 "Jonas Mekas, poète, cinéaste, fédérateur du cinéma d'avant-garde américain, directeur de la revue Film Culture et de l'Anthology Film Archives, est né en 1922 en Lithuanie et émigre en 1949 aux Etats Unis à New York, où il réside toujours. Filmographie: Guns of the Trees (1962), Halleluja the Hills (1962), Lost, Lost, Lost (1949/63), The Brig (1964), Award Presentation to Andy Warhol (1964), Cassis (1966), Notes on The Circus (1966), In Between (1964/68), Walden: Diaries, Notes and Sketches (1964/69), Reminisciences of a Journey to Lithuania (1950/72), Notes for Jerome (1966/78), Paradise Not Yet Lost (1977/79), Scenes from the life of Andy Warhol (1965/82), Street Songs (1966/83), Eric Hawkins: Excerpts from "Here and Now With Watchers"/ Lucia Dlugoszewski Performs (1963/83), He stands in a Desert Counting the Seconds of His Life (1969/85), Dr Carl Jung by Jerome Hill (1950/91), The Education of Sebastien or Egypt Regained (1992), Zefiro Torna or Scenes of the Life of George Maciunas (1992) (...)." Claudine Eizykman, Un Cabinet D'Amateurs, Avril 1993, Cinémathèque Française, Paris. - Erick Hawkins : Excerpts from "Here and Now With Watchers" and "Lucia Dlugoszewski Performs"